Local cuisine with a double menu and a rich buffet with vegetarian and non vegetarian dishes, which will satisfy everyone’s tastes, adults and children alike, for a truly healthy holiday. Free in our Hotel: WI-FI Internet, to surf the Net in your room as well, air-conditioning, use of bicycles, and a dispenser of still and fizzy water 24 h a day at mealtimes, too. 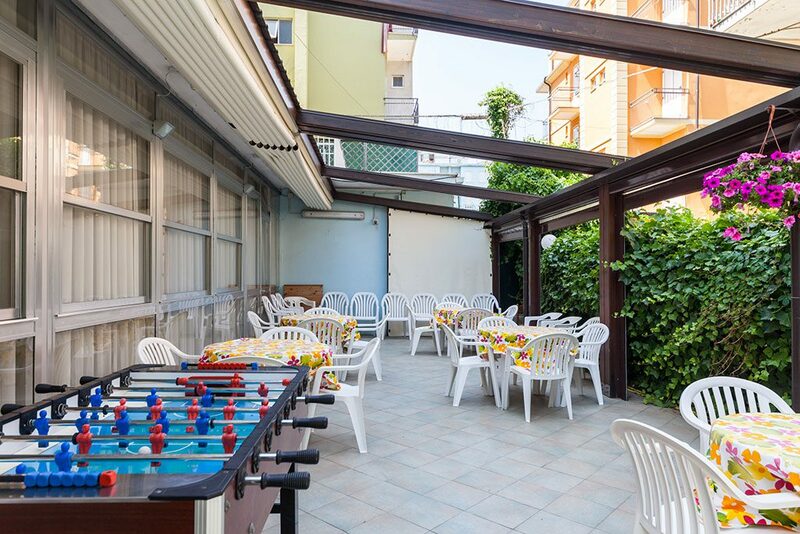 In the city of Rimini, 60 metres from the sea, 20 minutes from Riccione, 10 minutes from the shopping centre and from the first theme park, everything is close to hand, for a holiday that also values your time. 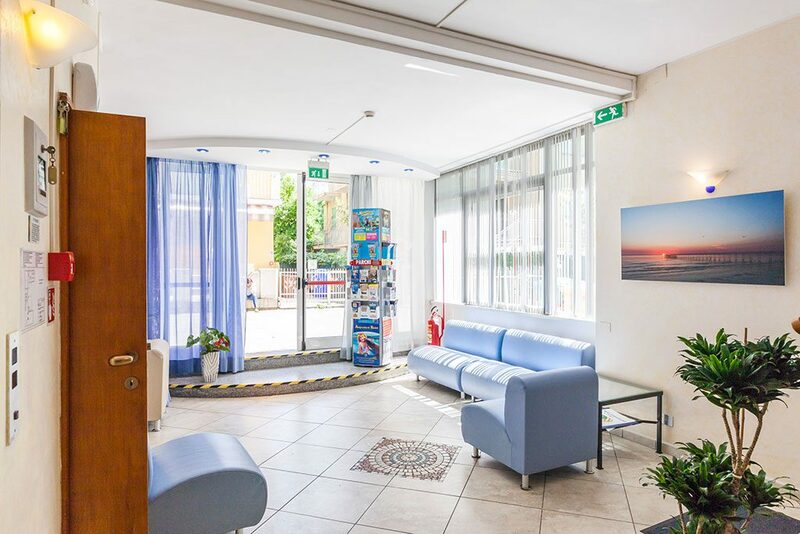 Quality facilities, good deals, and friendly hospitality: the 2 star Hotel Enza in Rimini offers all this and much more besides, only 50 metres from one of the best equipped and least crowded beaches in Rimini. It is ideal if you are looking for a comfortable and cosy place to spend your holiday in alone or with a group. The hotel is run by Sergio and Adele, who for many years have been carrying out this profession with great passion following in their family’s footsteps. Energy, a love for their work, and the ability to dream big have enabled a project to turn into a hotel that makes its guests feel just as though they are at home. 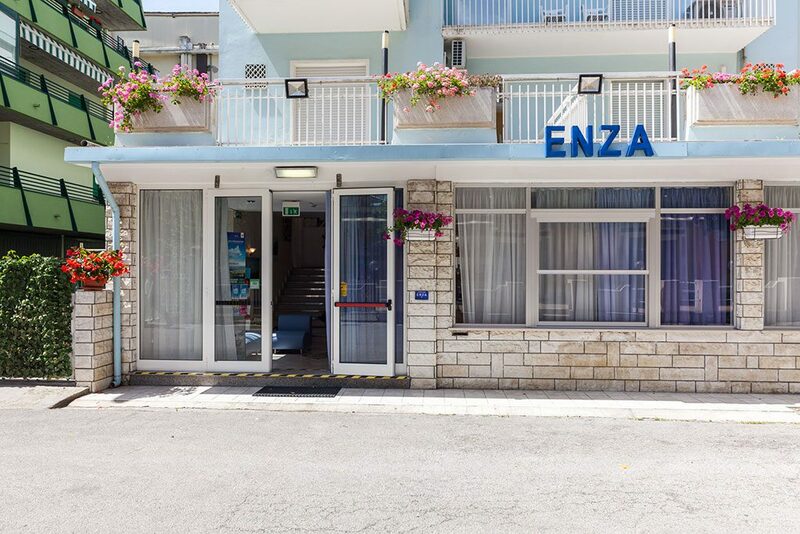 Today, after more than fifty years from the beginning of that dream, Hotel Enza continues to offer its hospitality and friendliness that have made it renowned to and appreciated by visitors who come from all over the world. The hotel is characterized by a familiar cosy environment with all the necessary comforts to spend an unforgettable holiday in Romagna. 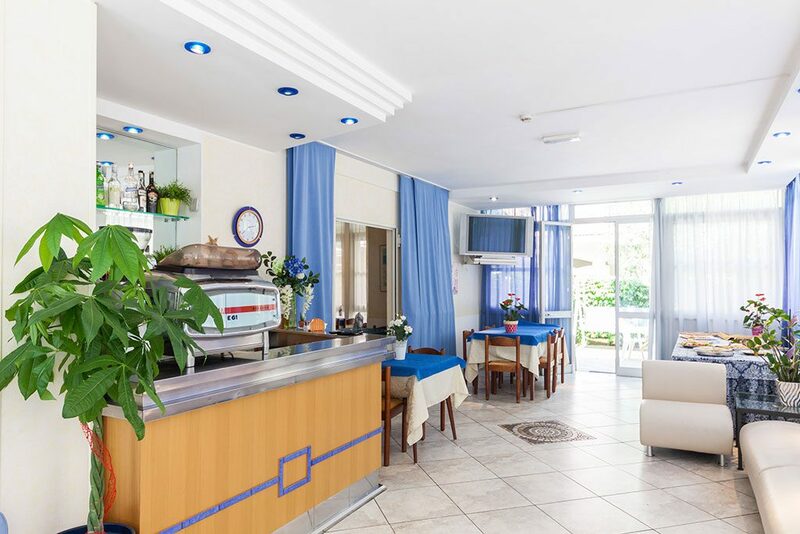 The wonderful sea view and the home cooking, enriched by Romagna specialties, are some of the strengths of the hotel: guests will be pampered by a kind of hospitality which will always make them feel at ease. The excellent ratio between the quality of the holiday and the contained costs make the hotel the perfect choice if you are travelling with your family or as a group, especially if you are with your children. To meet the requirements of the children in fact, facilities are adaptable with the necessary flexibility to make their holiday special, too. With special attention paid to their food preferences, for instance, we can provide personalised menus to meet their tastes. 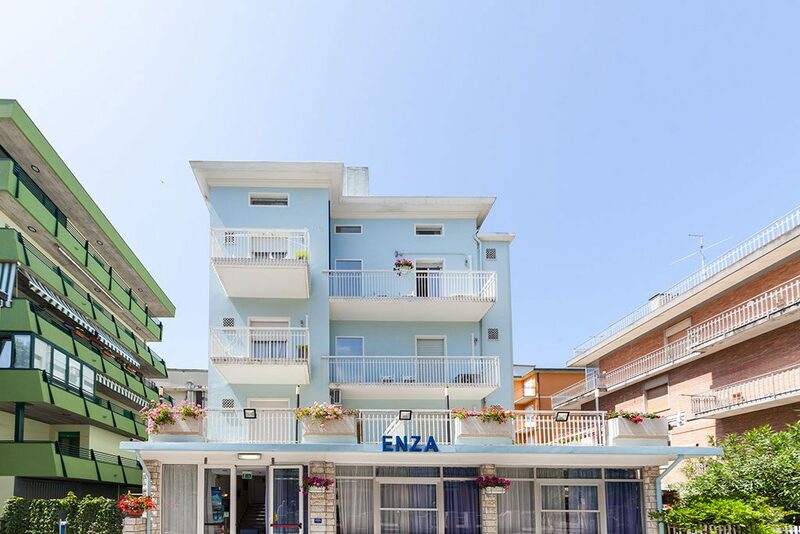 Fun and relaxation for adults and children, good value and professionalism – together with competent and polite staff – make Hotel Enza the right choice for an unforgettable holiday in the heart of the Romagna Riviera. Close to the beach, which you can get to easily, enjoying all the bathing facilities at contained prices, you can stay in a hotel that will give you the warm welcome of a family home. 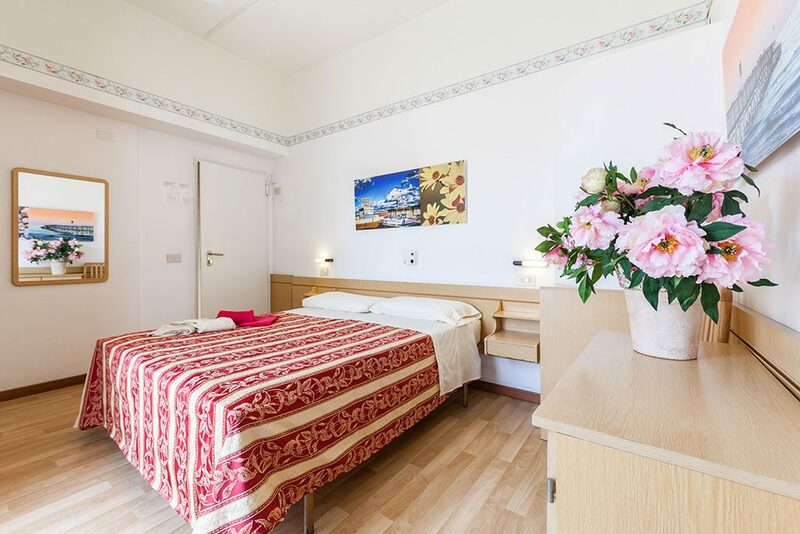 Hotel Enza can be contacted at any time for any further information: the staff is always available to help each guest find the perfect solution and to meet every possible holiday requirement.